Catalina Water Company, LLC - for Commercial and Home Saltwater Aquariums and Seafood use. Catalina Water is collected off the coast of Southern California. Pure clean seawater is received at our modern processing and storage facility in Long Beach, California where it is filtered extensively, treated with UV Sterilization & Ozone, buffered for pH, and tested prior to shipment. Catalina Water is tested daily prior to delivery to our customers. 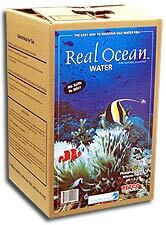 We believe our natural saltwater is the best water available for your marine life. Catalina Water contains all the required organic and inorganic elements providing a natural, stable and healthy environment for your marine life. Catalina Water is convenient and cost-effective. Catalina Water is transported in food-grade stainless steel tankers to a growing network of retail and wholesale distributors throughout California, Arizona, Utah and Nevada. Catalina Water does not require costly additives, it is ready to use. NO SALTS TO MIX! Catalina Water is used in the Central Systems of over 200 retail stores and tropical fish wholesale distributors throughout greater Los Angeles. It is with this same confidence that Catalina Water is made available to you. Catalina Water provides the easiest and most maintenance-free marine environment available on the market. Famous ocean-life exhibits in major Las Vegas hotels. Many of the Major Universities and colleges in Southern California. Seafood wholesalers across the Southwest region of the United States. Many of the regions major ocean-life wholesalers & retail outlets. Over 500 local pet stores throughout the entire United States. Catalina Water is also available in convenient ready-to-use 5-gallon easy packs.